Many people have run iOS 10 on their iPhone, iPad or iPod to experience the new features of the latest version. However, some people also reported many annoying problems after upgrading to this new iOS version, including slow performance, stuck issues and even can’t boot properly. No matter what situation you have encountered, all you need is an advanced system care for iOS 10 devices. Luckily, with Tenorshare iCareFone, you can have professional system care for your iPhone 7/7 plus/6s/SE/6/5s/5c/5 in all-weather. 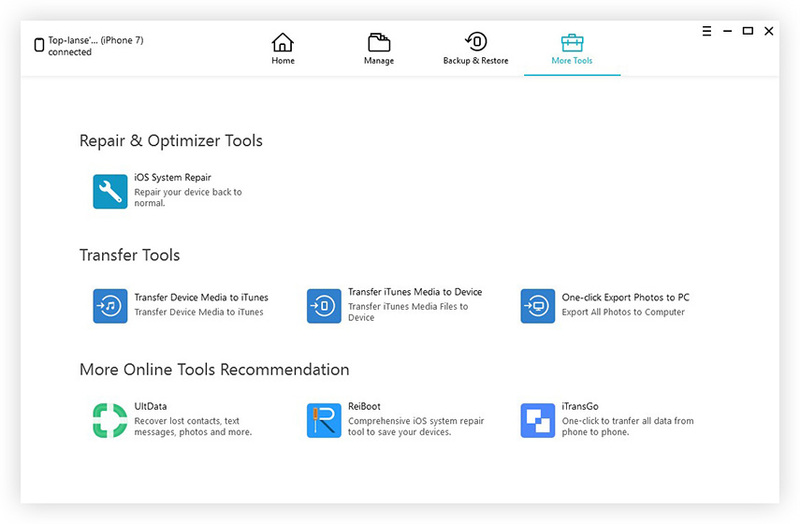 Now get this advanced system care for iPhone free and follow the articles to see the detailed functions of this fascinating software. 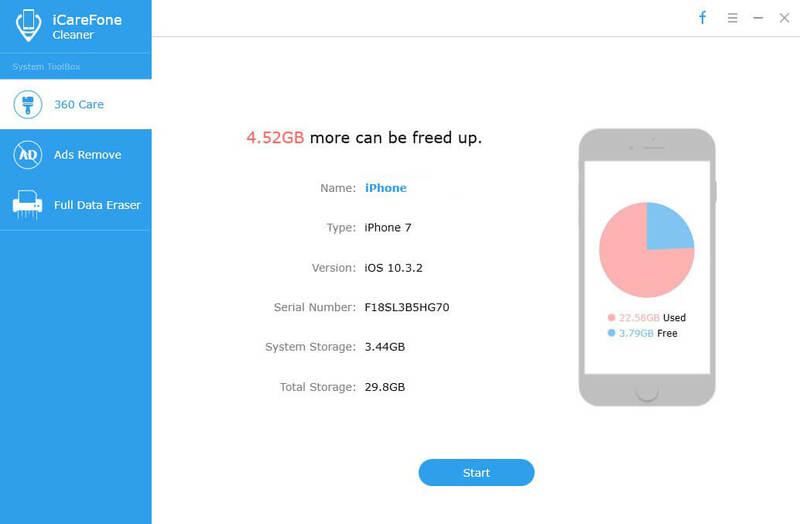 Tenorshare iCareFone can be your first choice to speed up and clean your device when having limited storage space or slow speed. 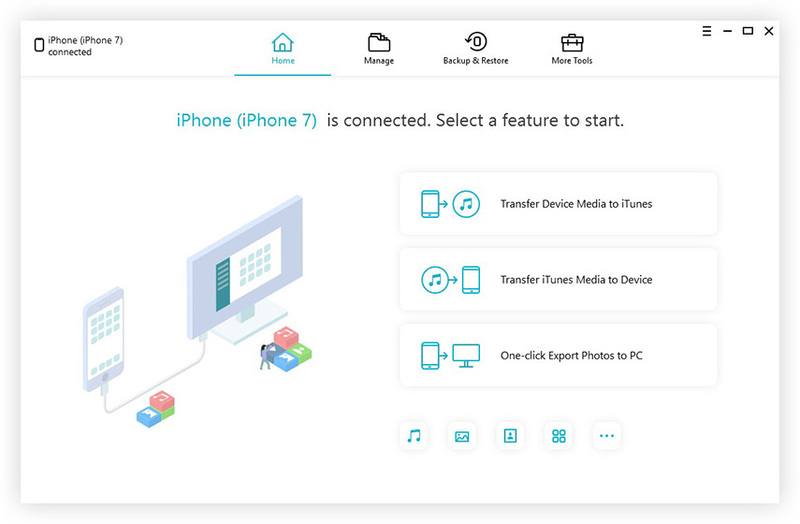 Whenever your iPhone or iPad gets stuck after upgrading to iOS 10, jailbreak or factory restore, Tenorshare iCareFone can always fix these issues with ease. Block ads from all popular apps including Pandora, YouTube, Airborne, etc. Well, that’s all the prominent features of Tenorshare iCareFone. This software really can be the best advanced system care for iOS 10 devices, doesn’t it?